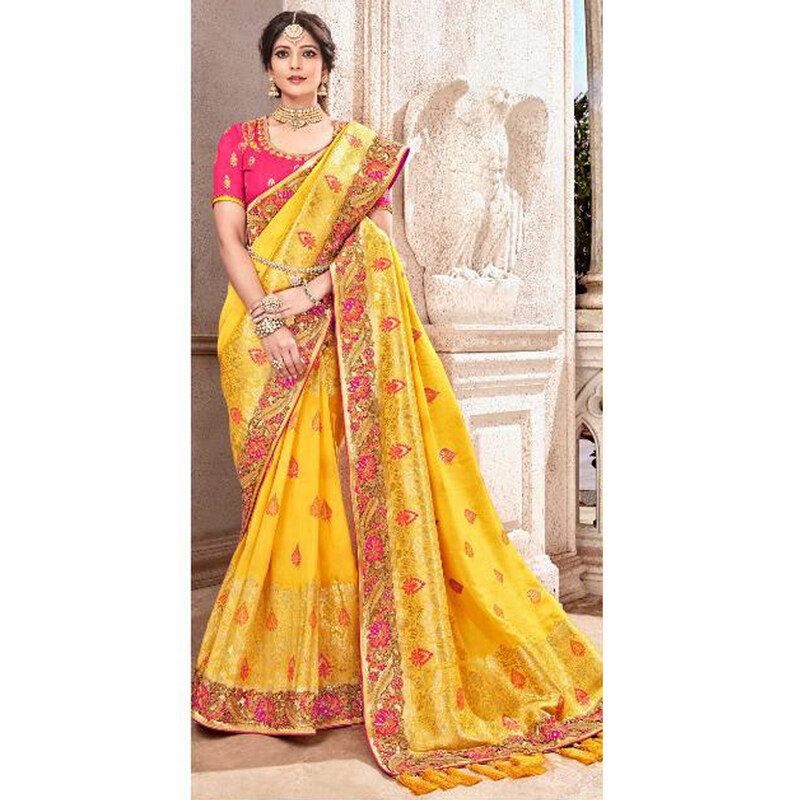 Add grace and charm towards the look in this gleaming yellow colored pure viscose saree. The saree attire is enhanced with woven work and traditional pattern along with tasseled hem. Paired with unstitched embroidered pure banarasi silk blouse piece, which can be stitched as per your style & requirement. It's a must have saree in your ethnic collection. This saree is perfect for your upcoming wedding functions, parties, events, festivals or occasions. Pair it with traditionally stylish accessories to complete the look. Buy this saree now as it's a unique piece with attractive color which is rare to find. This attractive saree will surely fetch you compliments for your rich sense of style.